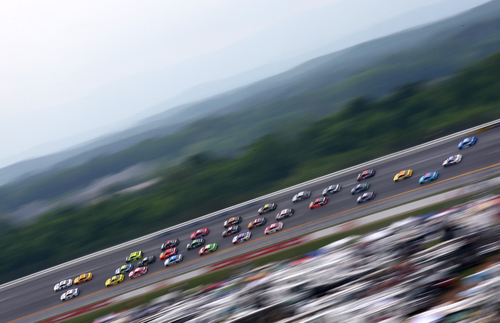 Talladega Superspeedway, which will celebrate its 50th Anniversary in 2019, is NASCAR's Most Competitive track, the biggest (2.66-miles), steepest (33 degrees) and the fastest! Only track in NASCAR to offer free camping options. With three-and four-wide racing throughout each race, there is no other race track on the planet like Talladega. Close finishes are the norm here. In addition to offering the best racing on the track, the social atmosphere is second to none as well. Talladega is the Party Capital of NASCAR. Friday night's "Big One on the Blvd." 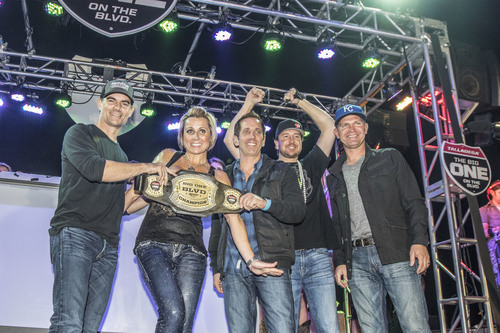 is a mardi gras style event where drivers mingle with the fans. The party continues with the Saturday night concert that always features top artists. There are a host of family packages as well for adults and kids a like (special VIP program), as well as college students, military, first responders and educators. Kids 12 and under get in free on Friday and Saturday of race weekends while on Sunday, their tickets are as low as $10. Talladega is for everyone, and it is easy to get to - just off I-20 between Birmingham (quick 40-minute ride) and Atlanta. Also in 2019, the track is excited to announce "Transformation" the Infield Project, an approximate $50 million redevelopment endeavor for the fans, highlighted by a one-of-kind Garage Fan Zone Experience that will allow fans "up-close" to the teams and drivers as the cars are being prepped. Side-by-side racing is a constant at Talladega!